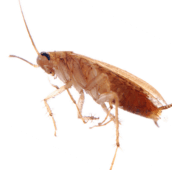 We offer rodent control solutions for commercial and residential establishments. Our technicians will make sure that food sources are removed and will identify any holes or openings where rodents may obtain entrance to your residence. Areas, where these rodents have gained access to your home, will be cleared. Our technicians are safety aware and can ensure that children and animals be kept away while any extermination methods are being applied. 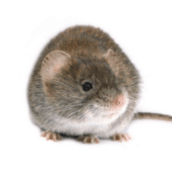 The primary methods by which our specialists will cope with your mice issue will be through the use of glue boards, snap-traps, live traps and/or rodenticides. Of course, the elimination of any possible entry points these animals might have to your residence will be closed off by our technicians. The homeowner is always consulted by our technicians to ensure the very best feasible strategy will be put into place. Our specialists will put the traps or bait stations in places used by the rodents which are out-of-reach of kids or animals. 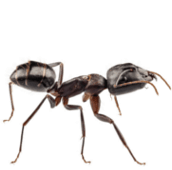 Homeowners are advised not to move any traps that they might encounter in their home as this will decrease the effectiveness of the pest control process. Spotting mice and rats scurrying around your property is a precursor to having them inside your house. Some rats are small enough to fit through a hole 0.96 inches wide. 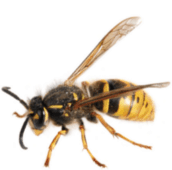 These intelligent and nimble critters will eventually figure out a weakness and gain entry inside the home. Mice and rats prefer to nest in hard-to-reach areas including attics, inside vents and inside walls. Mice and rats are also responsible for a wide range of diseases and infections including Carcinoma, rat-bite fever, plague, respiratory tract infection and Bubonic plague among others. It is critical that you do not ignore rats on your property in Brampton and address the issue effectively as soon as possible. The logical place to start is to eliminate the existing population before taking measures to prevent the problem from returning in future. Rodenticides and traps stand out as the best methods in this case but these are not recommended for use by amateurs. There is the obvious problem of trapping and poisoning children, pets and other non-target animals. Make sure that you are well versed with local regulations regarding the use of poisons, rodenticides and traps outdoors before attempting this. It is best to leave this work to a professional. The other crucial step is to eliminate what is attracting the rodents in the first place which can be summarized with food, water and shelter. This means cleaning your garden to remove unnecessary clutter that the rats use for nests including overgrown bushes, junk, cardboard, piles of wood and other piles that the rats can hide in or under. Rat-proof your outdoor structures such as sheds and storage building using galvanized steel mesh or metal flashing. Some of these rodents can fit through a hole less than an inch wide so you need to be thorough about inspecting all possible entry points. Remove food sources such as pet food and get a metal or sturdy garbage can that rats can’t chew through. Keep the lid tightly closed using bungee chords or zip ties or store in your garage until collection day. Avoid scattering bird food and stay alert for anything in your yard that the rodents can eat. Finally, remove water sources including stagnant pools and dripping taps. The rodents may also choose to drink from your outdoor fixtures such as fountains, pools and bird water feeders. Finally, inspect your house thoroughly and find any holes or gaps that the rats can use to get inside. Seal with galvanized steel mesh or metal flashing. There are many reasons to hire a professional rodent exterminator in Brampton for your problems. There are the previously mentioned risks of trapping or poisoning non-target animals. You are also liable to steep fines by using these methods inappropriately. 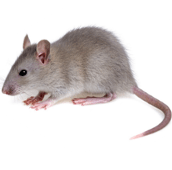 Mice and rats aren’t just unsightly but also carry a variety of diseases including rat-bite fever, Lassa fever and plague among others. Rat urine, feces, nests and corpses are also a serious threat for diseases and infections both directly and indirectly. Handling the animals or their nests is toxic while the rodents could also be contaminating your food and water sources. 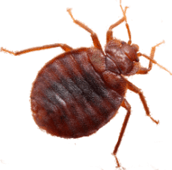 A professional can handle the infestation safely and quickly to eliminate the risk of contracting a serious disease as many of these are potentially fatal. The professional will also disinfect and sanitize appropriately after successful rodent control more than you would be able to do on your own. Rats and mice are extremely difficult to control even for professionals and having them in your yard is a sure sign that they will eventually break into the house at the first opportunity. Hire a mice exterminator as soon as you spot rodents on your property.